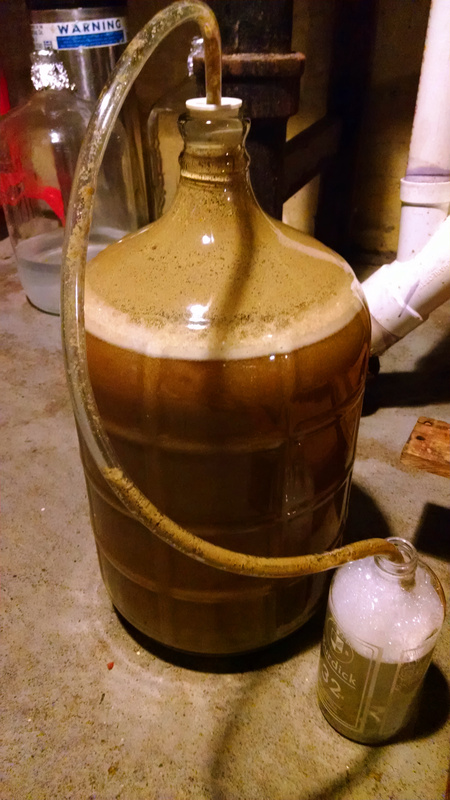 Shortly after we brewed our HOP SLUDGE! 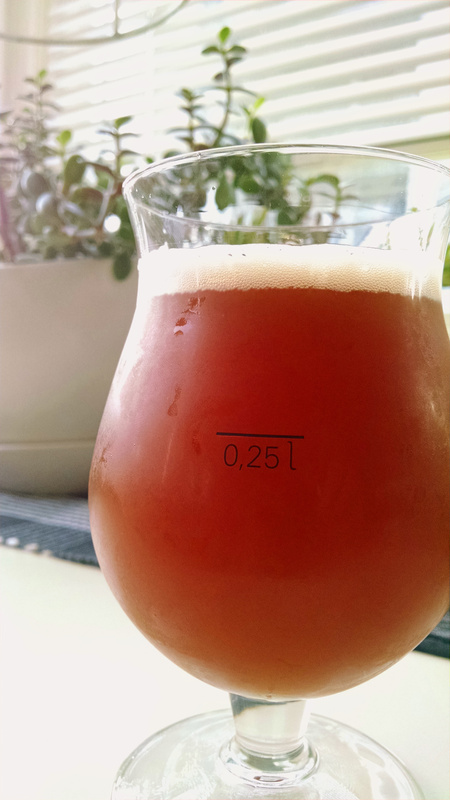 IPA, Gregory and I opted to brew our first collaborative Double IPA. 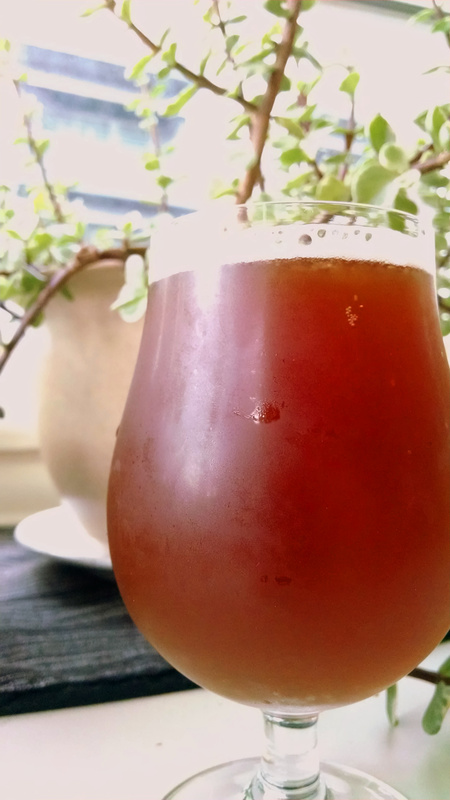 We wanted to make something big in body and ABV and bold in flavor while retaining an easy drinkability. In order to do so we mashed at 150F, stuck to a simple malt bill, and added some corn sugar to the boil. 1.00 oz. Azacca (Pellet, 15.3% AA) @ 30 min. 1.50 oz. Centennial (Pellet, 9.0% AA) @ 15 min. 1.50 oz. 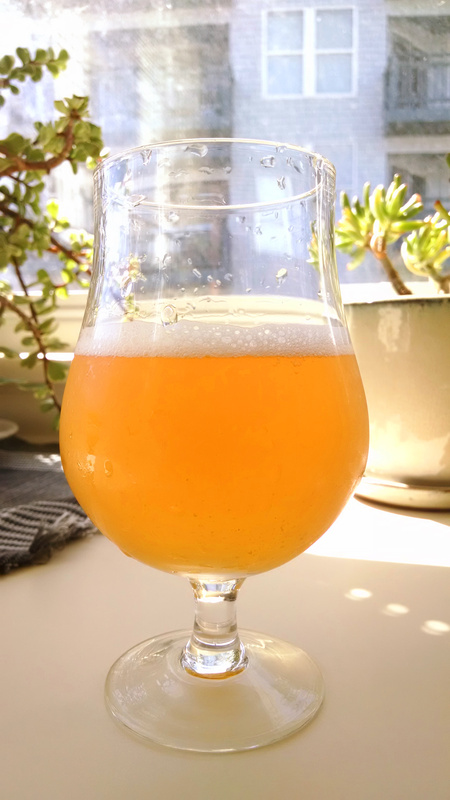 Amarillo (Pellet, 8.8% AA) @ 15 min. 1.00 oz. Azacca (Pellet, 15.3% AA) @ 01 min. 1.00 oz. Centennial (Pellet, 9.0% AA) @ 01 min. 1.50 oz. Amarillo (Pellet, 8.8% AA) @ 0 min. 1.00 oz. 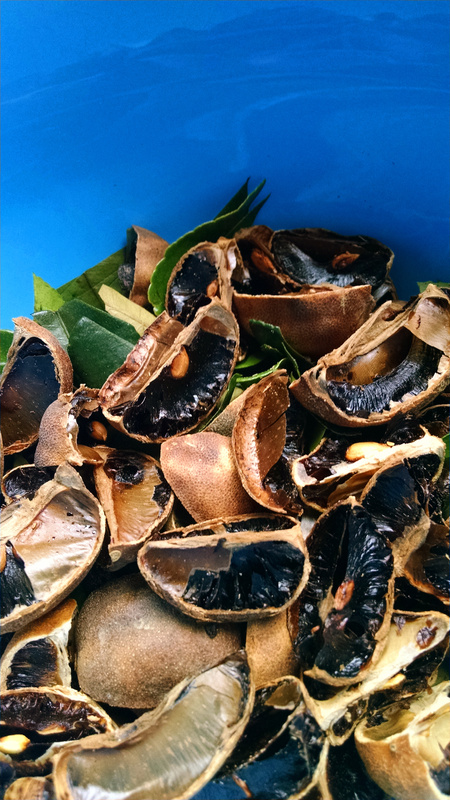 Azacca (Pellet, 15.3% AA) @ 0 min. 1.00 oz. Centennial (Pellet, 9.0% AA) @ 0 min. 1.00 Lb. Dextrose (corn sugar) @ 90 min. Clear with a deep orange color, moderate head stand, and clingy lacing. Massive juicy fruit notes of satsuma oranges, ripe mango and pineapple on the nose with underlying hints of pine and spicy alcohol. Intense and full-bodied on the palate with the fruit melding with a hint of sweet maltiness. Spicy-herbal notes of Sweet Woodruff arrive in the middle and dissolve into a dry finish full of sticky pine resin and booze. In May 2015, Gregory and I entered three different IPAs into the Greater Everett Brewers League (GEBL) IPA Bracket Challenge. We brewed an English style IPA, an American style IPA and an American style rye IPA (this last with Johnny Bus Tickets). Sadly, none of these beers placed in the competition (although the rye IPA was bumped out of its bracket in the last heat). 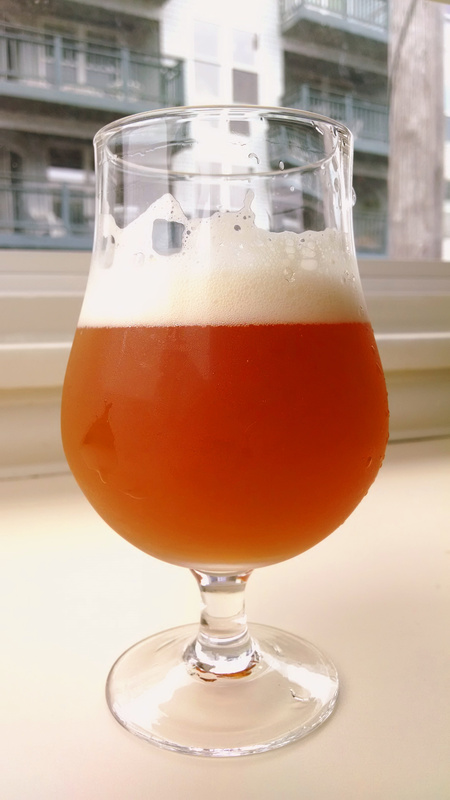 When we got our score sheets back from the judges, we noticed that each stated they thought our American IPA (which is a recipe we’ve been tweaking since Gregory first brewed it for a friend’s wedding) was a great example of an XPA (extra, or hoppy, pale ale); what they wanted was more bitterness. So we went back to the drawing board, made some adjustments, added more hops to our bittering additions, and thus HOP SLUDGE! was born. 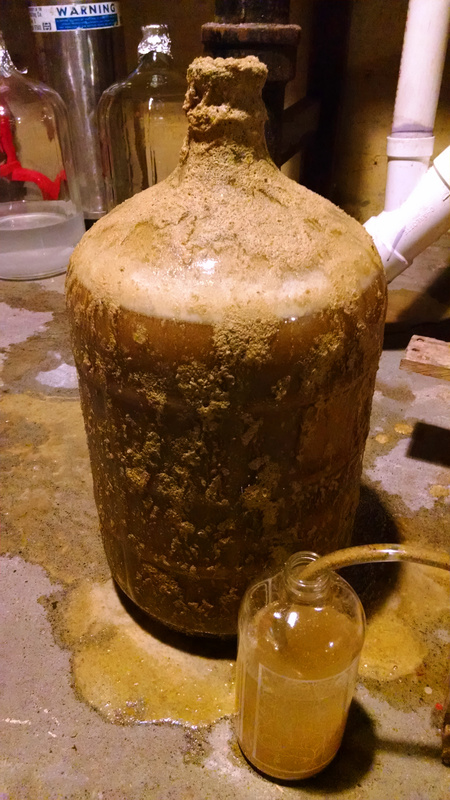 We jokingly named the beer while we were brewing it because the massive amounts of late addition hops created a sludge of hop particulate in the kettle, and subsequently took up about a fifth of the space in our carboy. 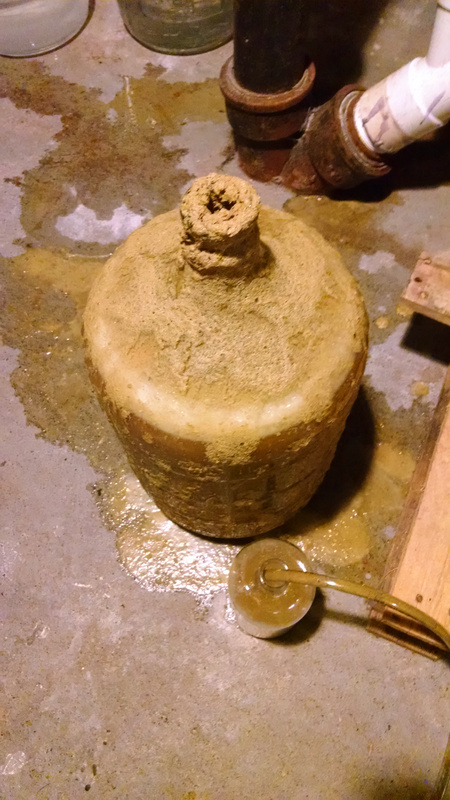 The beer crystallized the name itself when fermentation took off so quickly and aggressively that the rubber stopper and blow-off tube were shot out of the carboy and delicious, tropical-smelling wort metamorphosing into beer was showered across the basement floor. Luckily I caught the problem shortly after fermentation started and was able to get everything cleaned, re-sanitised and proper before any bacteria could settle in. 0.40 oz. Chinook (Pellet, 12.0% AA) @ 60 min. 0.75 oz. 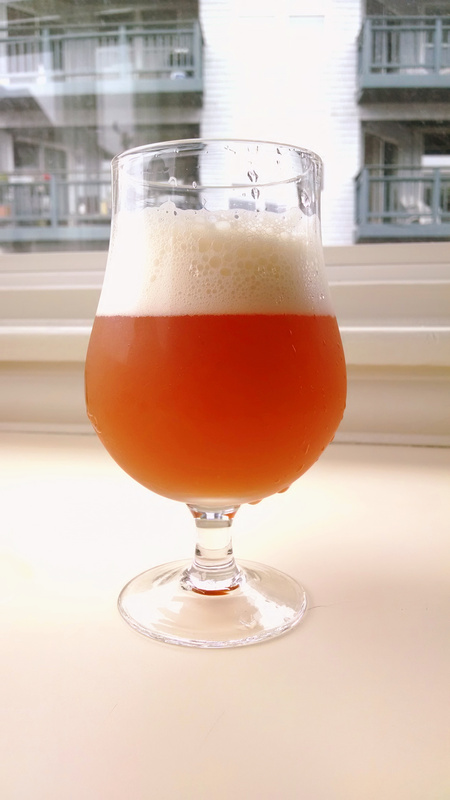 Amarillo (Pellet, 8.8% AA) @ 15 min. 0.50 oz. 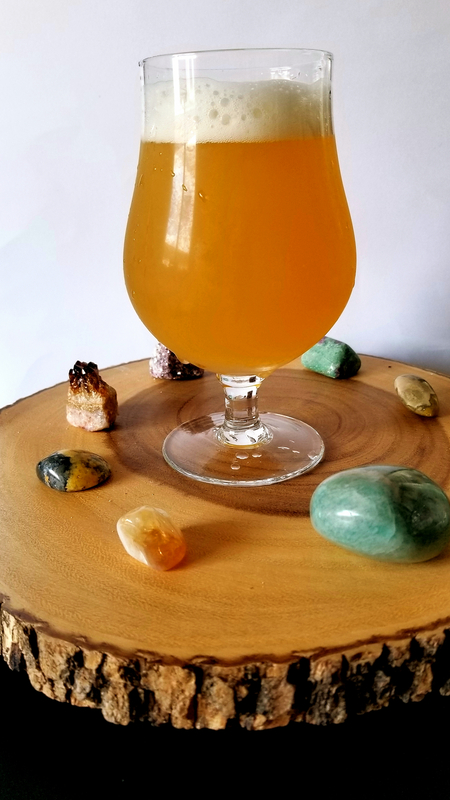 Citra (Pellet, 13.7% AA) @ 10 min. 1.00 oz. 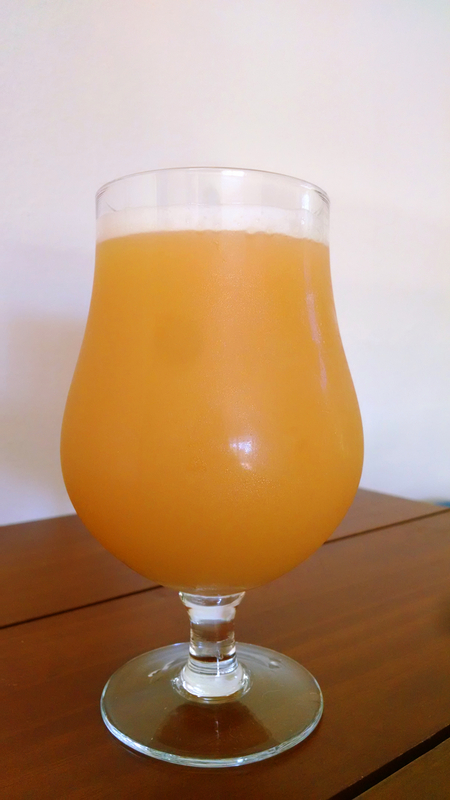 Amarillo (Pellet, 8.8% AA) @ 5 min. 1.00 oz. 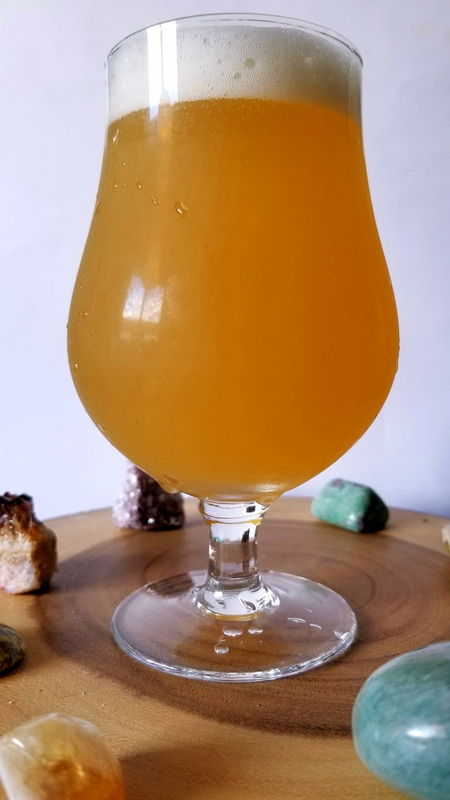 Amarillo (Pellet, 8.8% AA) @ 1 min. 1.00 oz. Chinook (Pellet, 12.0% AA) @ 1 min. 1.00 oz. Equinox (Pellet, 15.0% AA) @ 0 min. 1.00 oz. Amarillo (Pellet, 8.8% AA) @ 0 min. 2.00 oz. Citra (Pellet, 13.7% AA) @ 0 min. 1.00 oz. El Dorado (Pellet, 16.0% AA) @ 0 min. 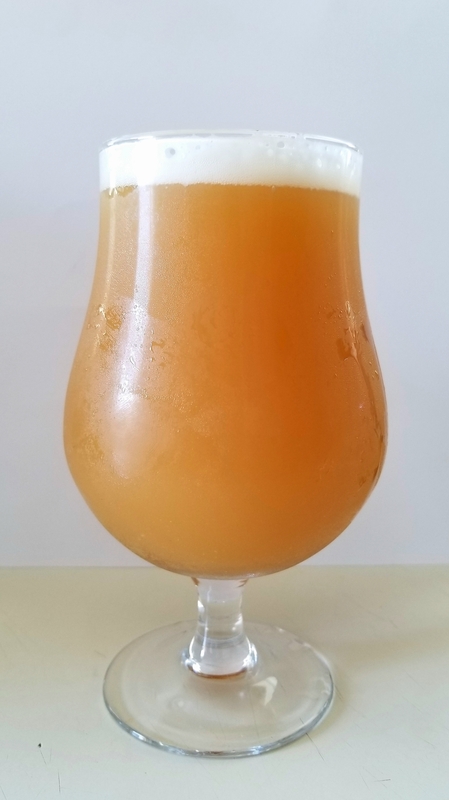 Although much clearer than the first pull from the keg, it has remained a little hazy (probably due to the amount of late addition and dry hops we added without filtering afterwards). 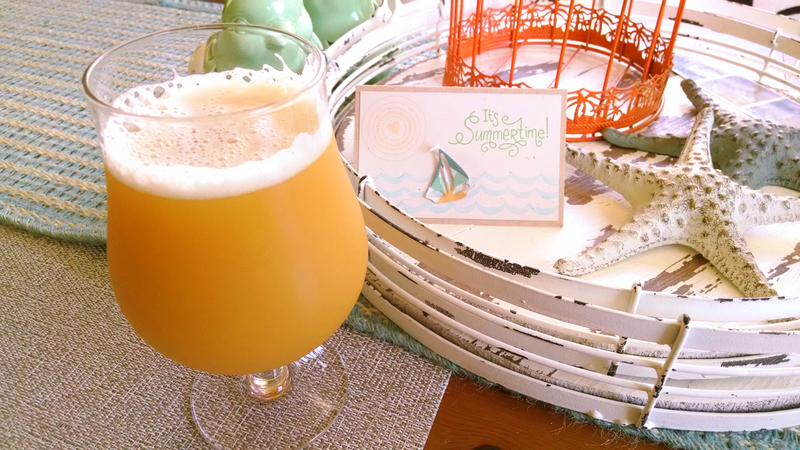 Intense tropical fruitiness on the nose, bringing papaya and mango to mind, with notes of lush pink grapefruit, some honeyed malt sweetness, and a hint of resinous evergreen akin to fir or pine. The palate follows the nose, but the tropical notes are more muted at first, allowing the Chinook’s earthy spiciness to shine through. The resin and evergreen hit the sides of the tongue toward the finish and a crescendo of fruitiness briefly re-emerges right before the substantial herbal-spicy bitterness takes hold for a dry, lingering finale.